I wanted to outline three Japanese restaurants in the New York area. All three of the restaurants are Michelin rated. The Michelin rating system is based on anonymous inspections by reviewers who look at the quality of the food, the mastery of technique, personality, and consistency of the food. The awards are from 0 to 3 stars with 3 being best. 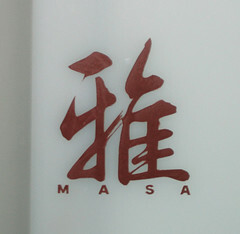 Masa restaurant is located in the Time Warner Center at 10 Columbus Cir. 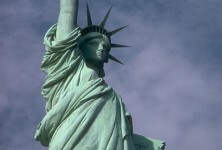 in New York City. This is a high-end restaurant that offers a sushi tasting menu at $450 per person. Reservations are taken during the first week of the month for the following month only.Chef Masa Takayama prepares the menu using a lot of seasonal ingredients as well as many exotic ingredients. In addition to receiving Michelin's highest rating Masa earned Chef of the year and Esquire magazine, 4 stars from the New York Times, and 5 stars in Forbes travel guide. Kajitsu is located at 414 E. 9th St., New York, NY. The name of the restaurant means "fine day" or "day of celebration" in Japanese. The restaurant features Shojin cuisine which is a type of vegetarian cooking with its origins in Zen Buddhism. The menu at Kajitsu changes monthly, making use of vegetables that are in season. 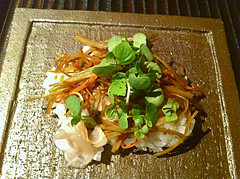 There are four-course “Kaze” ($50) and eight-course “Hana” ($70) menus. The restaurant is run by executive chef Ryota Ueshima who started working at Hyotei after culinary school. 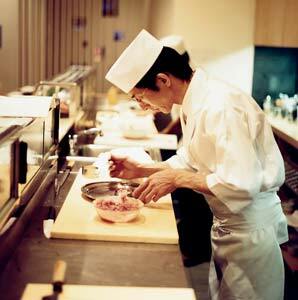 Hyotei has 3 Michelin stars and chef Ueshima worked there for 10 years before coming to the United States. Soto is located at 357 6th Ave, New York, NY. Keep your eyes open or you could miss it. It is a small restaurant and there is no sign on the door. This restaurant has seating for just 42 people but the chef and proprietor, Sotohiro Kosugi, and his two assistants are there every night working hard to give their customers incredible sushi and delicious Japanese cuisine. Prices range from about $10 to $28 per plate. Click here for other Japanese Restaurants links with ratings in the New York City area. If you’re looking for the trip of a lifetime but you want to buck the trend of typical travel destinations, a trip to Naha, Okinawa could be the answer. Shinjuku is said to be one of most like Tokyo neighborhoods. It is more of classy and very less crowded place than shibuya. There are a lot of things in Shinjuku Japan that you can do for free. When in Osaka, you have to try takoyaki or okonomiyaki.